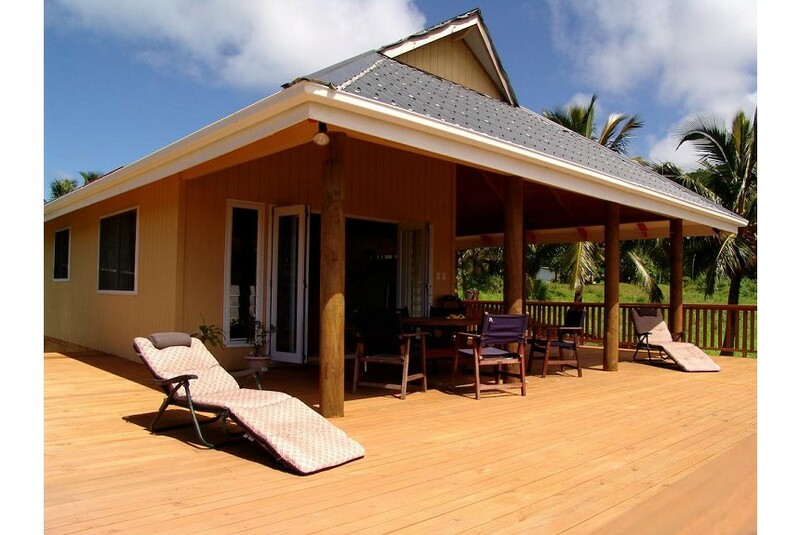 Less than five minutes stroll from Rarotonga's famous Muri Lagoon sits the Muri Heights Villas. Two modern contemporary two bedroom villas nestled amongst Taro and Noni plantations. Take in scenic views of the hills from the expansive balcony. You can enjoy the best of both worlds - from the tropical plantation, to the famous Muri Beach with its white sand and turquoise lagoon. The Villa is fully furnished and equipped with all amenities. There are ceiling fans in all rooms with air conditioning in the master bedroom for that extra comfort. Windows are all fully insect screened. The property comes with it's own private beach, which can be accessed across the road from the Villas, between the Sails Restaurant and Muri Beachcomber. Muri Heights is centrally located in Muri. The beach, car hire, bus stops, internet cafe, sailing club and numerous restaurants and shops are only five minutes walk.